Katarina Johnson-Thompson broke the British high jump record on the first morning of athletics action at the Rio Olympic Games, clearing 1.98m to equal the world heptathlon high jump best. In a top-quality competition, Belgium’s Nafissatou Thiam first improved the heptathlon high jump best to 1.98m, clearing that height on her first attempt, before Johnson-Thompson matched that on her second attempt to leap into the overall lead after two events in the heptathlon. Following the 100m hurdles and high jump, European pentathlon champion Johnson-Thompson has 2264 points from Thiam’s 2252. Johnson-Thompson wasn’t the only Brit to impress, however, as Jessica Ennis-Hill sits third with 2242 points. Johnson-Thompson had previously been joint UK record-holder with Isobel Pooley in the high jump, with the heptathlete having cleared 1.97m indoors in February 2015 and Pooley achieving the mark outdoors in July of that year. 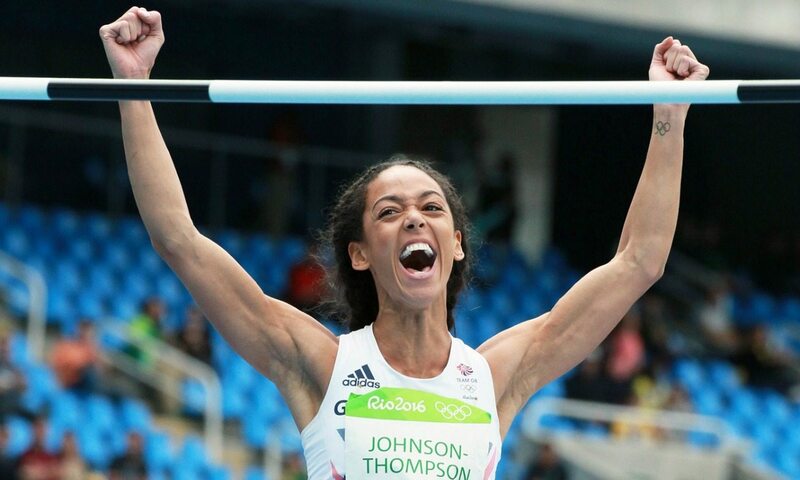 But after first-time clearances at 1.80m, 1.86m, 1.89m, 1.92m and 1.95m, Johnson-Thompson became the outright record-holder as she soared over 1.98m. It is a fine return to major competition for Johnson-Thompson, who was left disappointed at the IAAF World Championships in Beijing last summer after three fouls in the long jump put an end to her hopes for gold. Ennis-Hill, meanwhile, cleared her best height since London 2012 with 1.89m which she added to a win in the 100m hurdles. Clocking 12.84, Ennis-Hill led after the first event, with that time being the defending champion’s eighth quickest ever to gain her 1149 points to put her ahead of Akela Jones of Barbados, who ran 13.00 for 1124 points. Johnson-Thompson exactly matched the time she ran during the London 2012 heptathlon, clocking 13.48 for second behind European champion Anouk Vetter’s 13.47, times which put them 10th and 11th respectively after that first event. Canada’s world indoor pentathlon champion and two-time world heptathlon silver medallist Brianne Theisen-Eaton ran 13.18, while Estonia’s Grit Sadeiko, who is a training partner of Theisen-Eaton and Ashton Eaton, pulled up and saw her heptathlon campaign come to an early end. Jones sits fourth after the two events on 2217 points, while Theisen-Eaton is fifth with 2151 points.